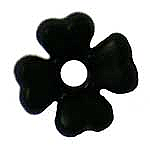 F95 Flower center hole 6mm $.10 each This flower is a great flower used for little areas of color in a design. 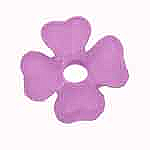 It is one of the flowers needed for the Lucies’ Daisy Patch bracelet. The other flower is the D_F17. 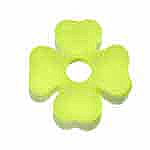 The F95 flower is sold per quantity of 10pcs for $1.00.